Not difficult but very beautiful and also great for my collection which, thanks to Bernhard is rather huge! It would be a shame to only get one cube at a time so during my discussions with Bernhard, I ordered a second one. 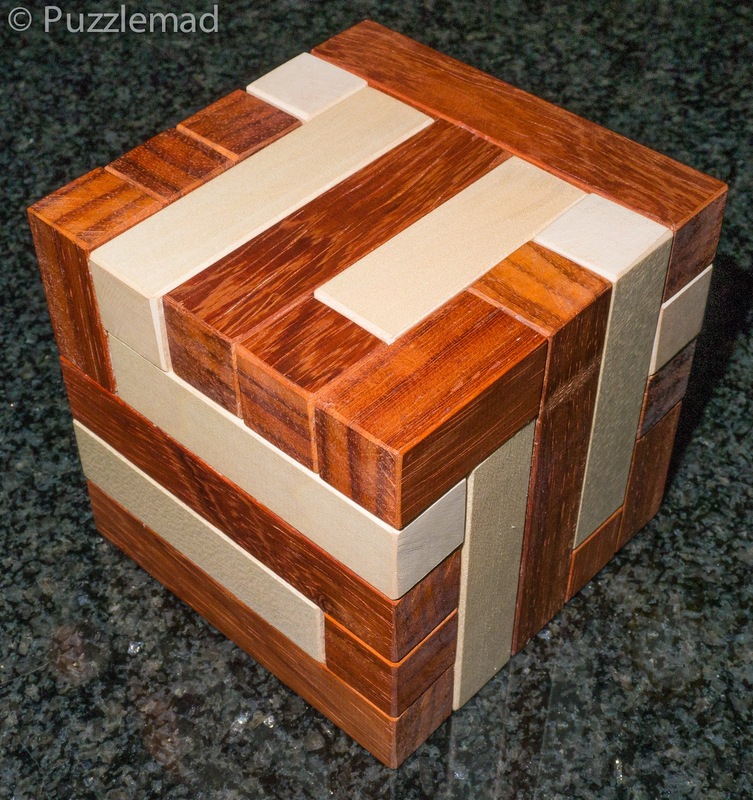 This is the Two Wheeled Cube which was designed by a relative newcomer to puzzle design, William Hu. 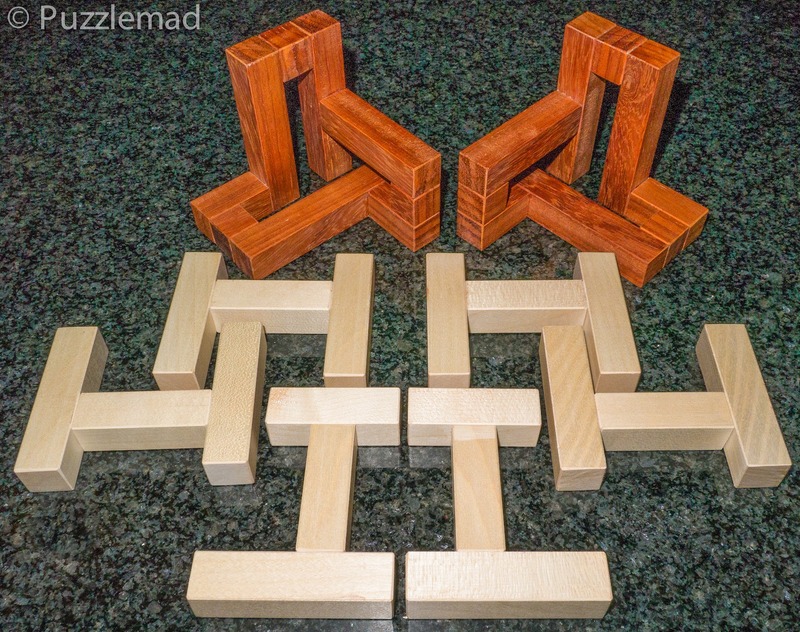 Bernhard is the world's foremost expert on the subgroup of interlocking puzzles which he has termed the Turning Interlocking Cubes (TICs) having written a series of 3 articles on their development published in the CFF journal. I was lucky enough to be his editor/translator for these articles and subsequently developed my own huge fascination for them. I scrambled the pieces and left them for a while and then singularly failed to put them together - Burrtools was no use so it was going to be a long haul to work it out! A further hour of play (due to the fact that the wheels can be interlocked from 2 different angles) finally lead to a huge sigh of relief! Whilst you can't get Kubus for yourself, it is definitely worthwhile buying the Two Wheeled Cube whilst Bernhard has stock. As a special treat for you today I will produce 2 articles - I'm feeling generous! Or is that.......talkative? Keep a look out for the next article very soon. They both look amazing. 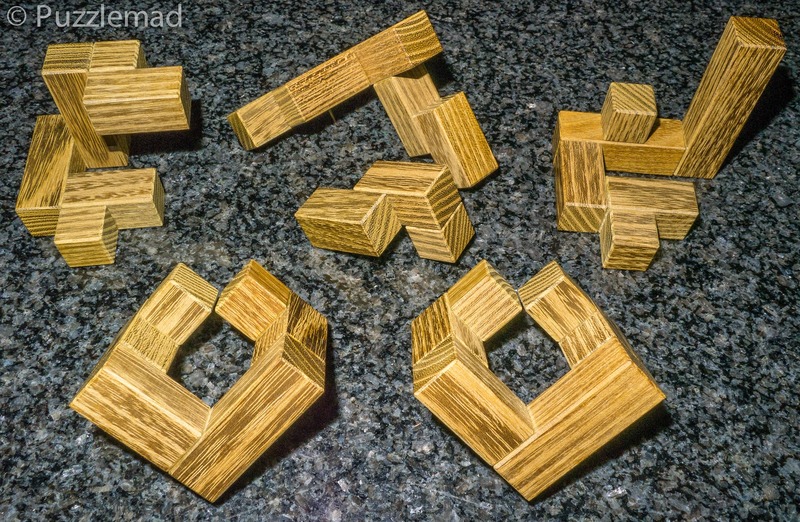 Interlocking cube are also a favourite of mine. 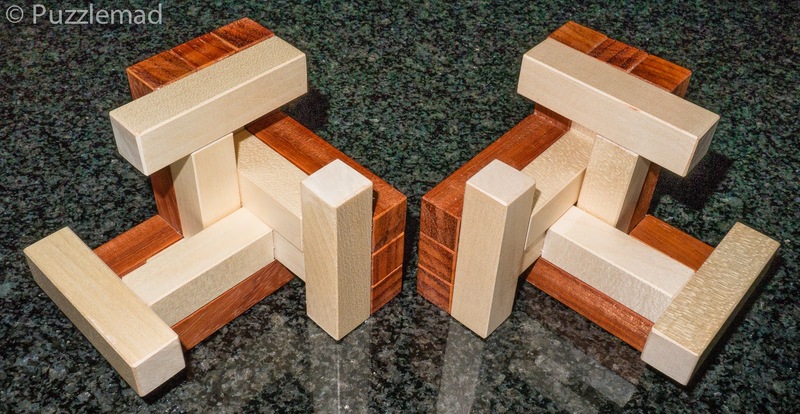 I have a soft spot for the Maters Cubes and enjoy reading about new Interlocking editions. Thanks Kevin. I can recommend dealing direct with Bernhard - he has enormous knowledge of the subject and is a pleasure to deal with! 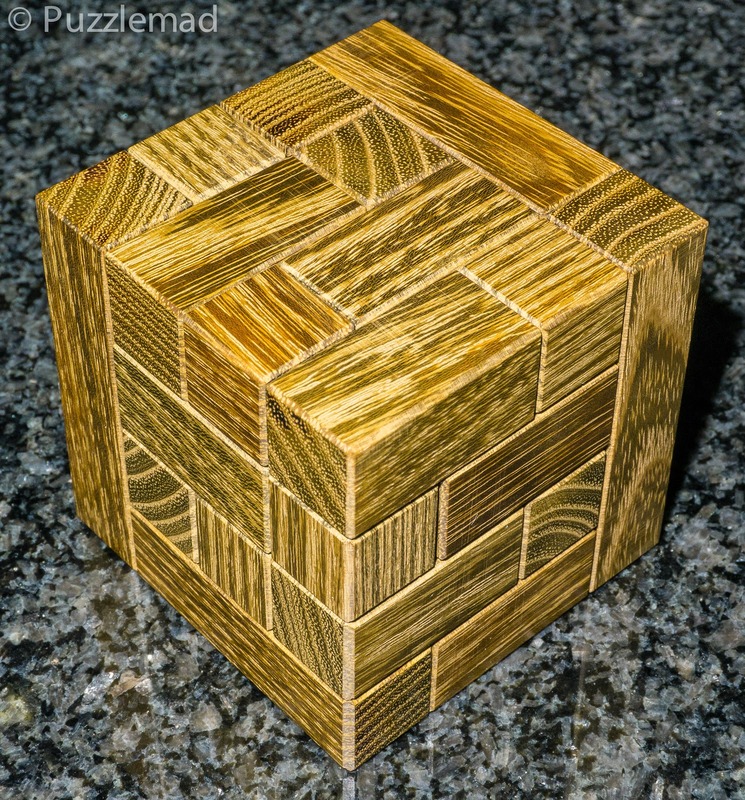 An N-ary puzzle to N'd all other N-ary puzzles!